Which Style Tail Extension Is Right for MY Horse? To help determine the style of tail extension that will look the most natural on YOUR horse, choose the photo that best represents his/her tail. Create your own custom feathering using the Triple Loop extension. This single lenght extension attaches about half way down the tail bone. Simply attach the extension and then feather back the outer edges to create the amount of feathering that your horse needs. This layered extension creates length an also some shorter hairs around the hock area (feathers). Because these extensions are man made you will not have the variations in width, length and color that you do with the Natural hide. Wraps around the tail bone and takes the place of the existing tail. 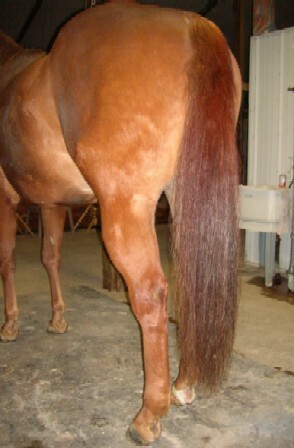 Creates length an also several layers of shorter hairs (feathers) that are missing in horses with very short tails. 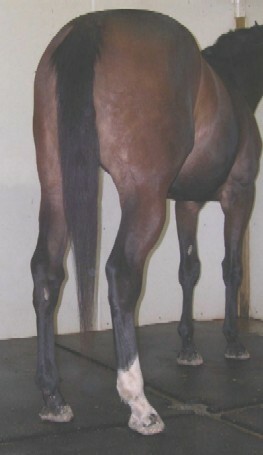 Creates length an also shorter hairs (feathers) that are missing in horses with very short tails. Because Hide Tails are literally Tail Hides their will be differences in length and volume and in most cases, the Natural Hide will not give you enough volume for a big full show tail look. They do work geat for Event horses, Contest Horse and Draft breeds with docked tail that don't require as much volume. Attaches to the hairs of the tail bone. A great choice for horses with short or thin tails and/or horses that carry their tails away from their body. Attaches to the hairs of the tail bone. Can be used alone or customized with up to 3lbs. of removable weights. Another great choice for horses with short or thin tails and/or horses that carry their tails away from their body. Attaches to the hairs of the tail bone. Use on horses with short thin tails. Also a good choice for horses that carry their tails away from their body. Note: For Hunters showing over fences All of these extensions can be attached and then the tail can be Hunter Braided! Attaches to the hairs of the tail bone. Use on horses with thin tails. 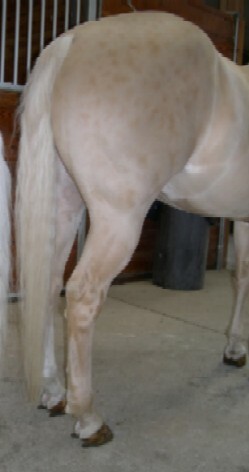 Also a good choice for horses that carry their tails away from their body or horses that "use" swish their tails. Attaches to the hairs of the tail bone. Use on horses with thin tails. Also a good choice for horses that carry their tails away from their body or horses that "use" swish their tails..
All of these extensions can be attached and then the tail can be Hunter Braided! Attaches to the hairs of the tail bone. Use on horses with short tails. Also a good choice for horses that carry their tails away from their body or horses that "use" swish their tail. Attaches directly below the tail bone. These cap style extensions are very popular. Work best on horses that carry their tails close to their body and who do not use “swish their tails. Attaches directly below the tail bone. Another very popular style. Work best on horses that carry their tails close to their body and who do not use “swish their tails.Not recommended for those new to using tail extensions. Note: For Hunters showing over fences. The Natural Loop, Triple Loop and Wrap around style extensions can be attached and then the tail can be Hunter Braided!